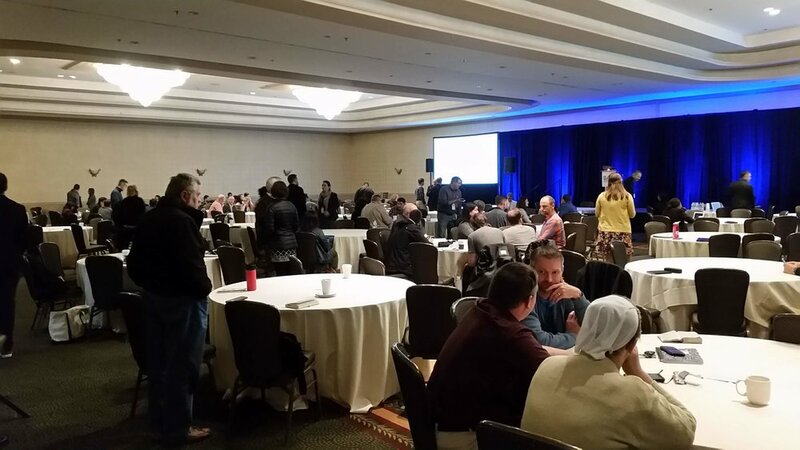 Tim then went onto the Transform Our World conference at the Marriott Hotel in San Jose, California. Over 800 delegates joined Ruth and Dr. Ed Silvoso for his annual global gathering of nations. Dr. Silvoso has written a number of groundbreaking books, including his seminal work: Ekklesia. Tim was praying about which table to sit on at the opening night gala dinner, hoping he would be able to connect with other delegates from the U.K. He felt led to a table in the corner of the ballroom, only to discover he was sharing the table with Lord Nat Wei, who’s been involved with TOW for years, together with ministry leaders from Bristol and Crawley. Over 3 amazing days of worship and prayer, delegates were inspired by stories of transformation from cities across the globe, including the Sunderland region here in the UK. Guest speakers also included YWAM founder Loren Cunningham and Bethel Church leader, Kris Vallotton. New connections for City Vision were made at the conference and we’ll be making available to you in the near future all the conference sessions and some of the city transformation story videos from the conference. Returning to the U.K, Tim then attended the Faith in Business conference at Bradford Cathedral on Saturday 13th October, together with City Vision Project Coordinator, Naz Masih. Taking an exhibition stand at the conference, it was another opportunity for City Vision to network with U.K ministry leaders, including John Kirkby, founder of CAP, who spoke in the afternoon’s session.